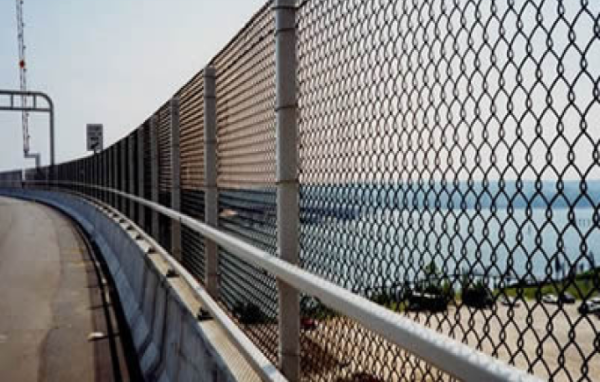 As the U.S. government seeks to increase infrastructure upgrading and innovation with over $100 billion in annual spending, the chain link industry has developed a wide range of cost-effective high security, anti-intrusion, perimeter security systems. These new systems can be designed to help solve the challenges facing companies and agencies working to protect and harden the perimeters on roads, bridges, military bases, airports and other infrastructure projects, and to maximize precious financial resources. 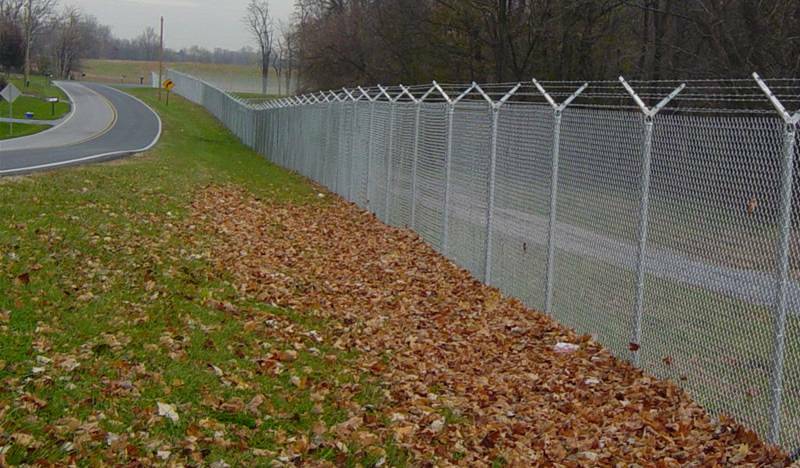 Unlike panel wire fence, chain link can be easily formed for curved parapet protective fence applications and serve as a platform for enhanced lighting and electronic detection systems. The ability to sustain necessary access while protecting the public is always the top priority for any agency. Still, over 6,000 pedestrians were killed on America’s roads last year. 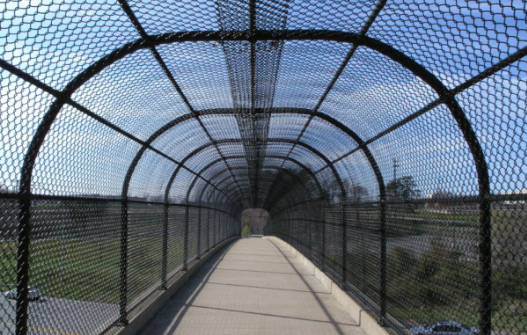 Chain link systems can be designed and installed to enhance physical protection for pedestrians and bicyclists, while at the same providing the visibility necessary for drivers to be alert and prepared to engage in defensive driving techniques. 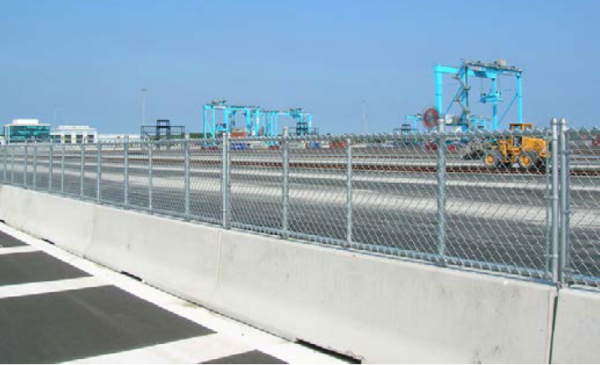 While chain link has always been the perimeter security system of choice for the public works market*, today’s chain link provides newly-developed choices in fabric sizes, coatings and configurations, accompanying framework and accessory products. These systems have been tested to the highest levels, and manufacturing facilities are strategically located throughout North America to provide the widest range of options for solving today’s – and tomorrow’s – infrastructure perimeter security problems. 1 3/4” 6 gauge: Harder to climb, provides higher security level for key infrastructure assets, such as entrances to government/security facilities, etc. Visually intimidating. Despite the ongoing high profile of traffic safety programs, the National Highway Traffic Safety Administration (NHTSA) reported an increase in highway fatalities last year (over 35,000). Multi-level chain link perimeter security systems are among the options available to highway departments, public works professionals, and private sector safety and transportation directors to help reduce these accidents. In addition, chain link is flexible and cost-effective enough to team with other barriers and systems to provide additional layers of highway security. In rural areas, chain link’s ease of installation and repair, and its ability to follow the grade makes it the smartest investment for highway project managers. 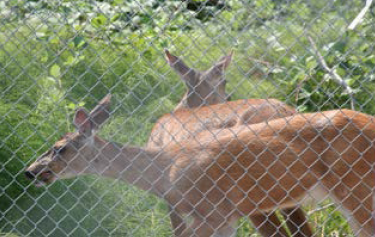 Chain link’s flexibility and see-through properties help make it the go-to systems for reducing animal intrusions and accidents on roads and bridges. 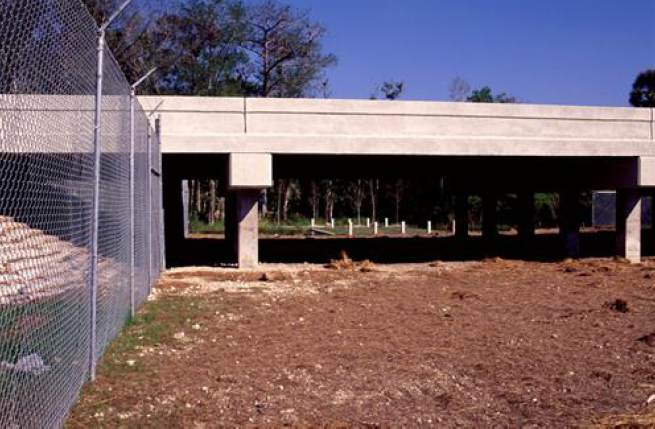 This wildlife underpass in southern Florida provides for the local ecosystem to work normally as it allows local wildlife to cross under the highway while limiting access via either side of the overpass. 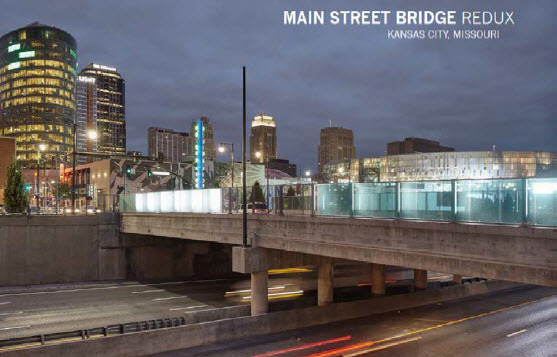 Chain link has an unbroken record of being the most cost-effective perimeter protection product capable of meeting ASTM/industry needs¹ at every level of perimeter physical security. Installation and upgrading costs are also greatly reduced compared to other perimeter security products. Perhaps most importantly, chain link’s higher tensile strength², anti-corrosive properties³ and specialized coatings create huge savings in repair and replacement costs, funds that can be used for other high-priority security needs.